It’s one of my favourite cities, not only in Italy but anywhere in the world. I fell in love with it the moment I arrived, but I’ve grown to love it even more with every visit. It’s a city of layers and contrasts and it’s a true melting pot. It came to be this way because of the marks left by the succession of invaders who occupied it: the Greeks, Romans, Normans, Spanish, Austrians and Arabs. 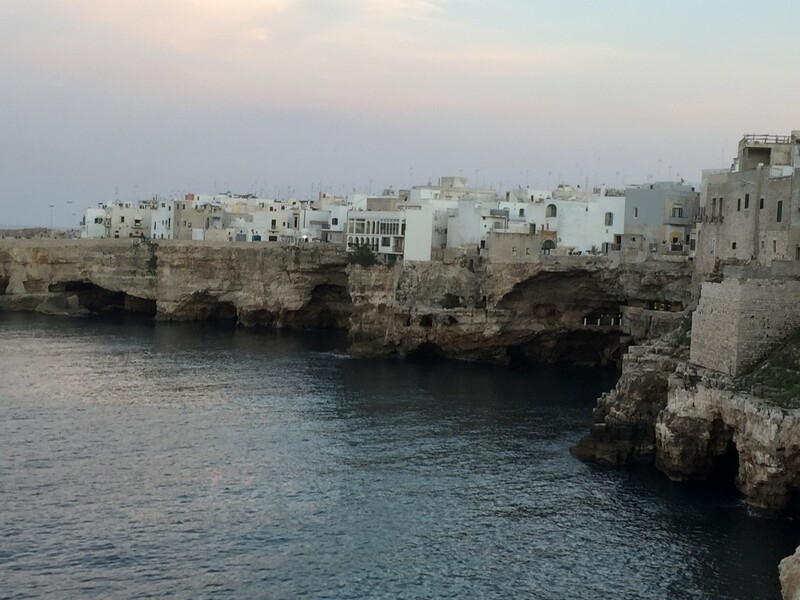 It’s in the food, the architecture and the people (some look like Normans with fair skin and reddish hair and others look more like Arabs – but as they say, they all have the same Sicilian blood). It has a beautiful old city in the centre, but is surrounded by ugly apartment blocks. Go further out and it changes again to rugged mountains and beautiful beaches. I’m focusing here mostly on the old city, with a few suggestions for excursions further out if you feel like hiring a car (driving there is not as crazy as everyone says) or catching a bus. Read more about driving in Sicily here. 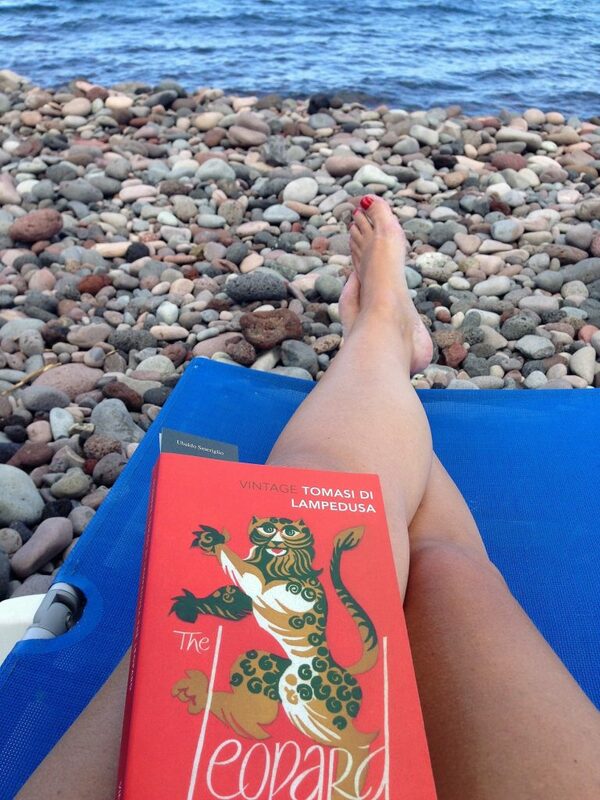 So what do I love about Palermo? The food, the architecture, the art (especially inside churches), the history, and I especially love its faded glory. Around 1,000 years ago Palermo was the richest, most glittering city in the world, and I love that you can still catch glimpses of what it used to be. 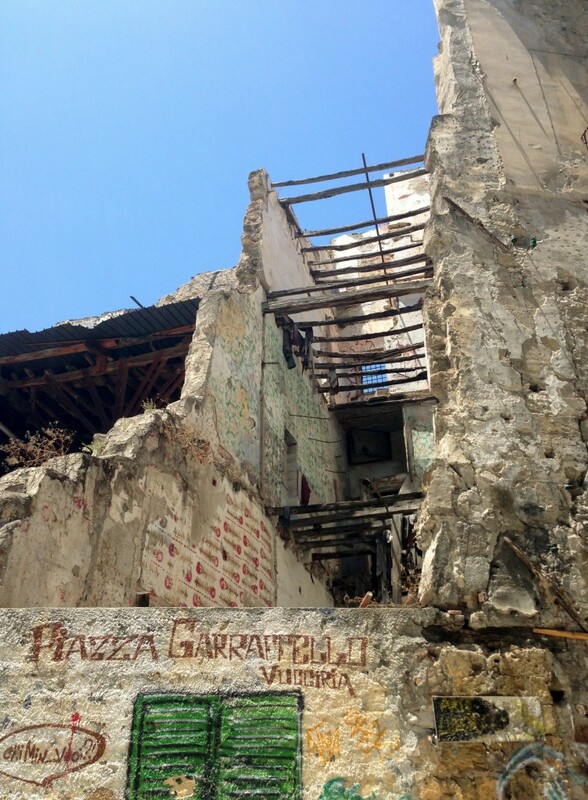 But it’s certainly seen better days and it’s a little tatty around the edges – but I think that gives it a sort of edginess you just don’t find in Rome, Venice or Florence. It’s real. It’s difficult to eat badly in Palermo, as it is in Sicily generally. 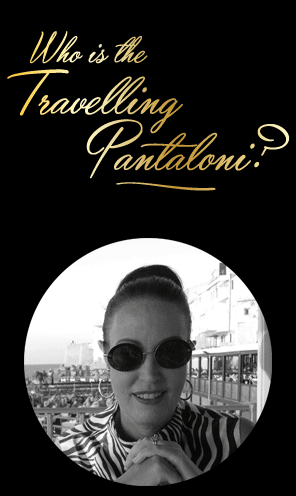 I’ve talked about some of my favourite places in a previous post (eating & drinking in Sicily) here, so get out there and eat! 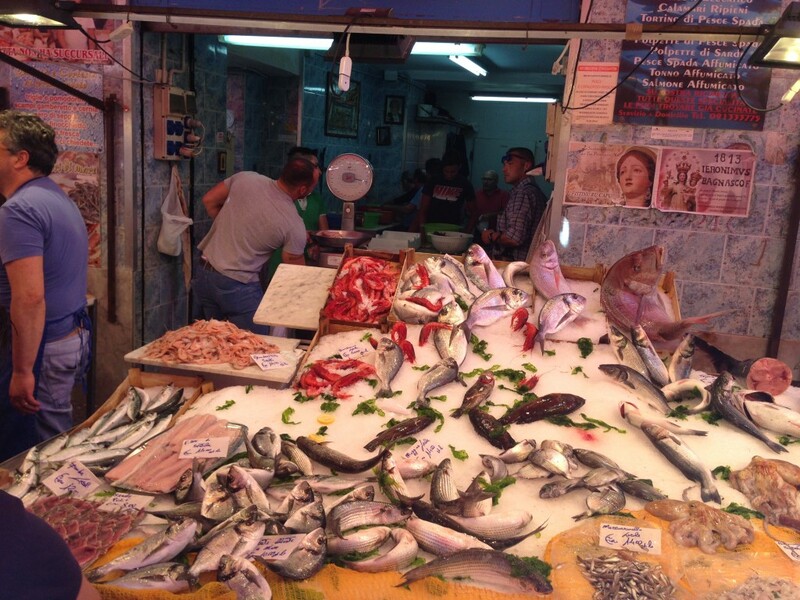 Sicily has some of the best food markets in the world, and Palermo has three: Capo, Ballaro, and Vucciria. The produce here is excellent and really cheap, but even if you don’t need or want to buy anything they’re pure theatre, and great places to wander around and soak up the atmosphere of the city. These markets are not for tourists, they’re used daily by the people who live in the city, and unless you’re from this neck of the woods I guarantee you’ll see things you’ve never seen before: snails making their escape from woven baskets, stall holders filling jars with freshly filleted anchovies, pale green vegetables almost as tall as you, and all manner of animal heads, bits and innards. 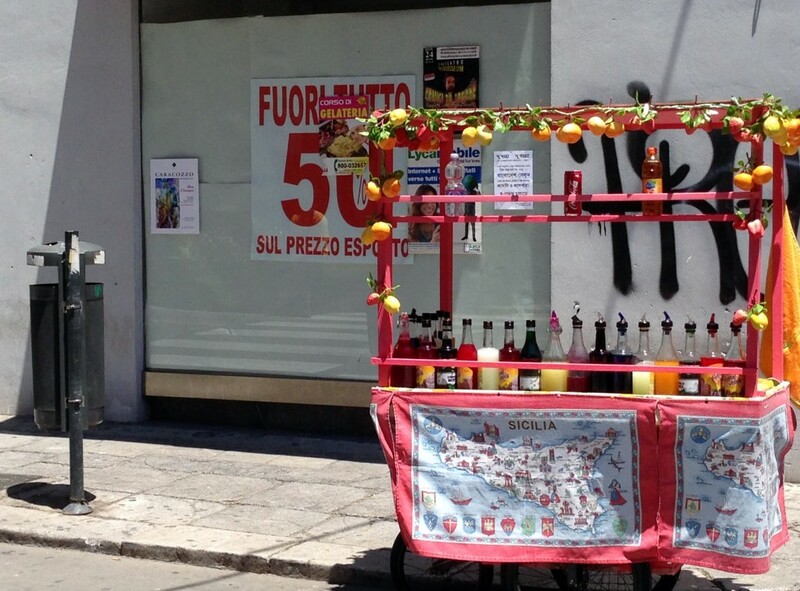 Palermo is famous for its street food, in fact it’s the #1 street food city in Europe! And the best place to find it is in one of the markets mentioned above. In and around each of these markets you’ll find vendors with small carts, each just selling one thing, and once their stock is gone, so are they. 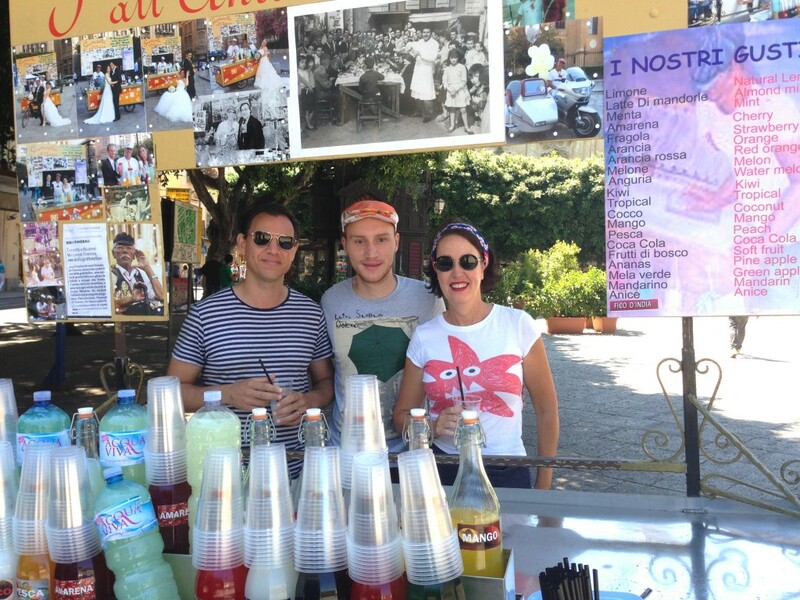 Some of my favourites are panelle con pane (a chickpea fritter in a bread roll), arancini ( fried rice balls with a ragu & cheese centre), grattachecca (flavoured shaved ice drink) and sfingione (Sicilian pizza). If you’re feeling adventurous try pane con la milza (spleen in a bread roll) or fritta (boiled & fried meat bits doused in lemon and pepper). 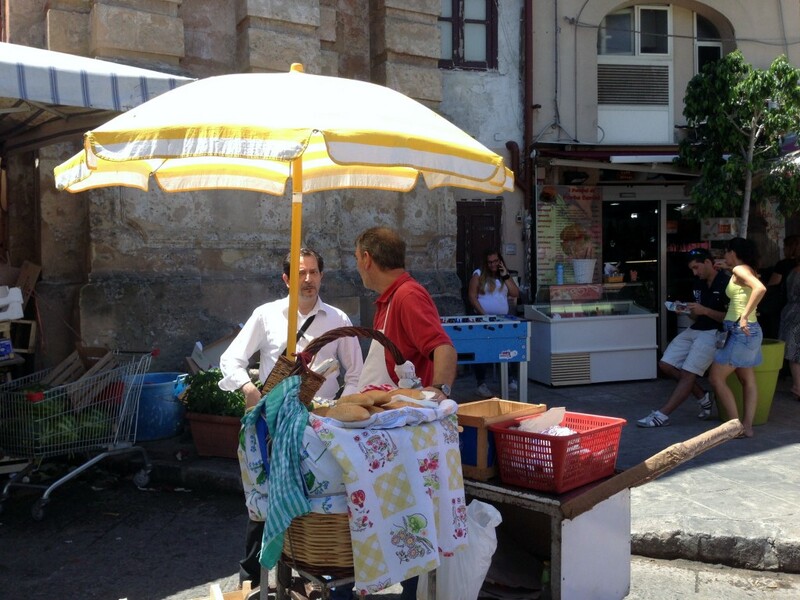 You can find everything yourself by wandering around but you can also do a great walking tour with Palermo Street Food. For a suggested donation of €20 per person, plus the cost of whatever food you buy (we spent €15 between two of us) you’ll wander through the city with a guide who is passionate about Palermo’s food and the history that goes with it. They find the best vendors of each food type and order for you, which makes it all very easy because honestly in previous trips I didn’t know what to ask for (and sometimes you can’t see what they’re selling). Trust me, you will not need to eat for the rest of the day! You will be surrounded by history here, no matter what you do, but here are a few of my favourite places to get an extra special dose. 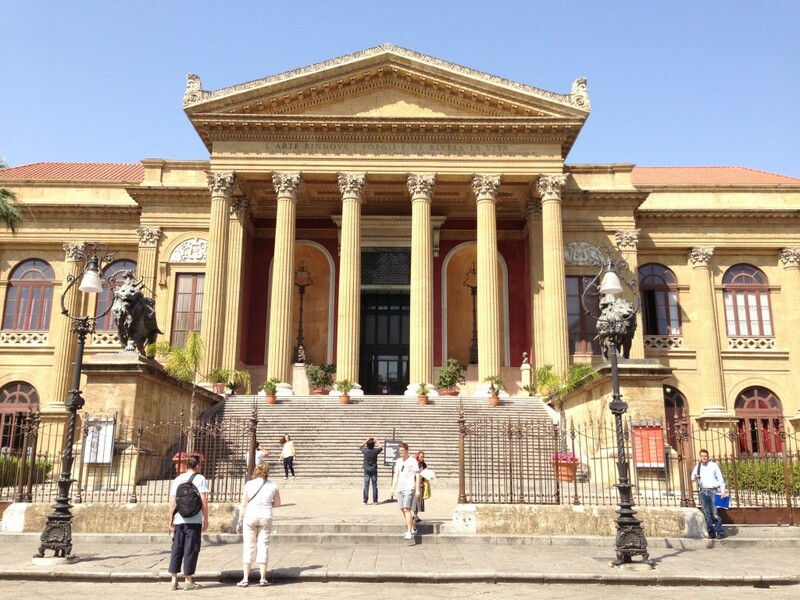 Palermo’s archeological museum is meant to be excellent. And I say meant to be, because I’ve not yet managed to see inside. My first attempt was stymied by a Sicilian relative who kidnapped us, and since then it’s been closed for renovations. So it’s still on my list… You can find it at Via Bara Olivella, 24. The dungeons in Palazzo Steri were home to political and religious prisoners during the Spanish Inquisition. 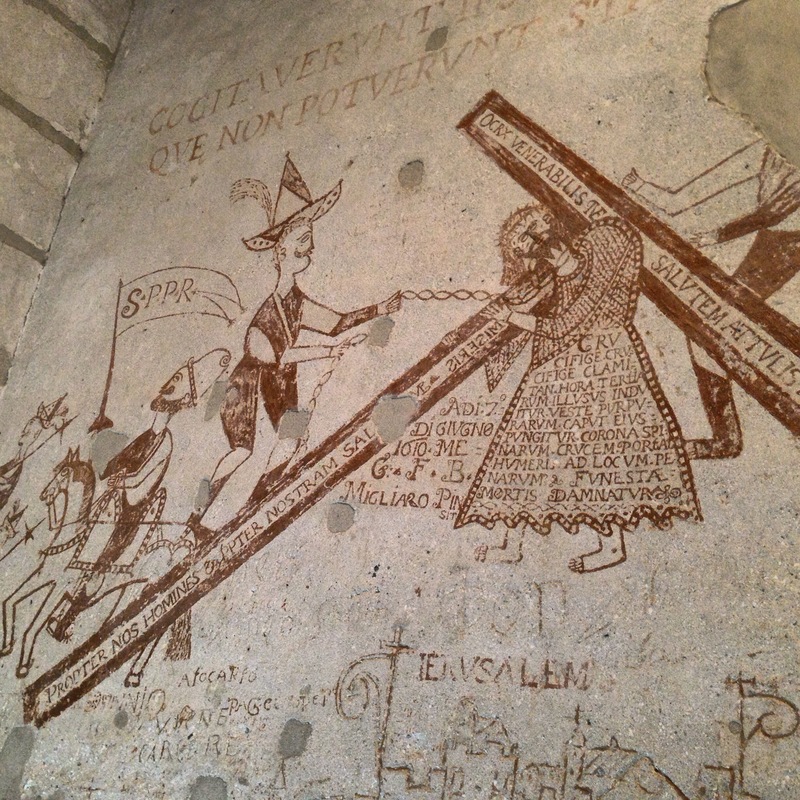 You take a tour of the dungeons and you see the graffiti prisoners from centuries ago left on the walls. You can find it at Piazza Marina, 61. 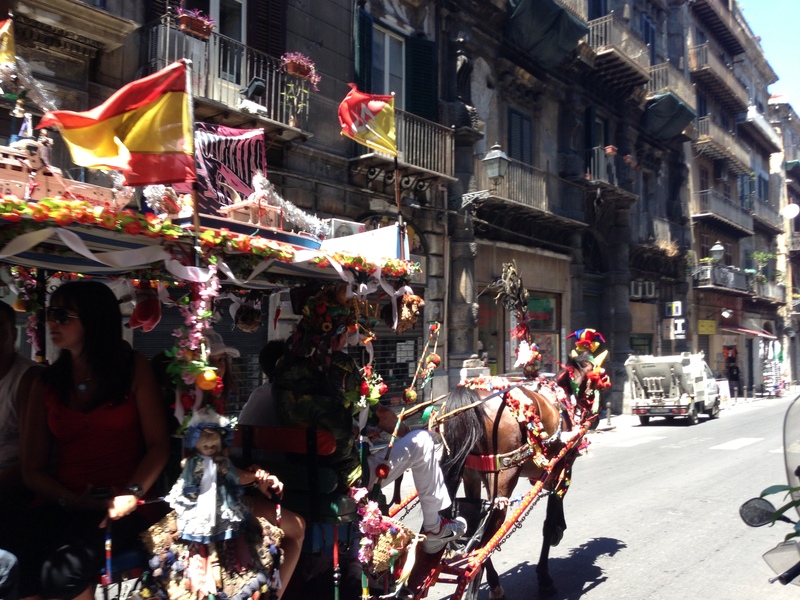 Palermo’s old town is small and perfect for wandering. 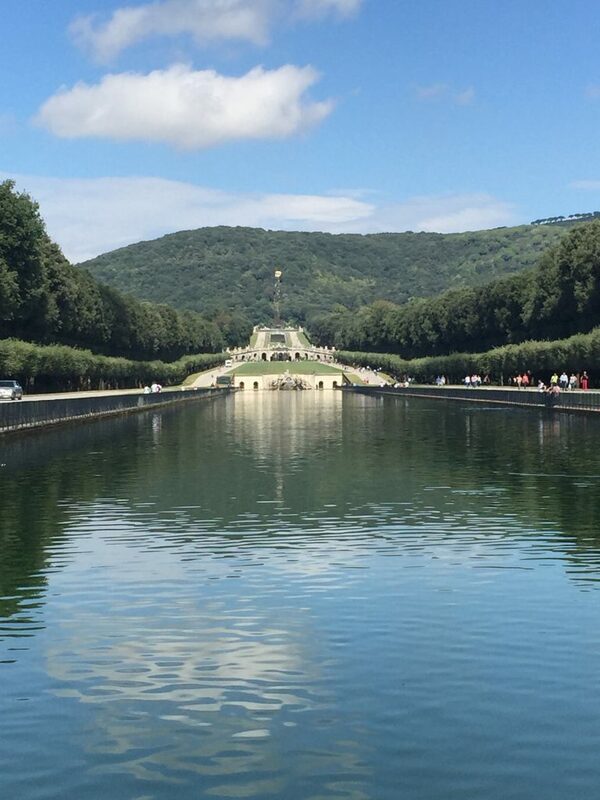 If you stay in the centre you’ll be able to walk to almost everything you want to see. Because the city is so old, it’s a warren of tiny streets and piazzas as well as the large roads that divide the city into its key areas. Don’t worry about getting lost in the maze – you’ll find your way out eventually! (NB in some areas you may feel like you’re about to be mugged, but you probably won’t be). Looking at buildings from the outside you have no idea what’s on the inside. I wonder if it’s because Palermitanos (and Sicilians generally) don’t want all the world to know exactly what they have – maybe it’s safer that way? Anyway a perfect case in point is the Stanze al Genio. From the outside it looks like a derelict building where maybe a drug cartel is doing its thing … but no, it’s home to a tile museum! I love tiles so finding a tile museum that also rated highly as an attraction on Facebook was pretty exciting, let me tell you. Once inside the building it still looks like a drug lord’s den (not that I’ve been in one of course) but when you’re buzzed into the museum it’s another world entirely. It’s one man’s 35 year old private collection of tiles from Sicily and Naples only, and they are displayed in his home. It’s an intimate and quite different experience, but one that I really liked. Because it’s a private home, you do need to book this one a day or two in advance. 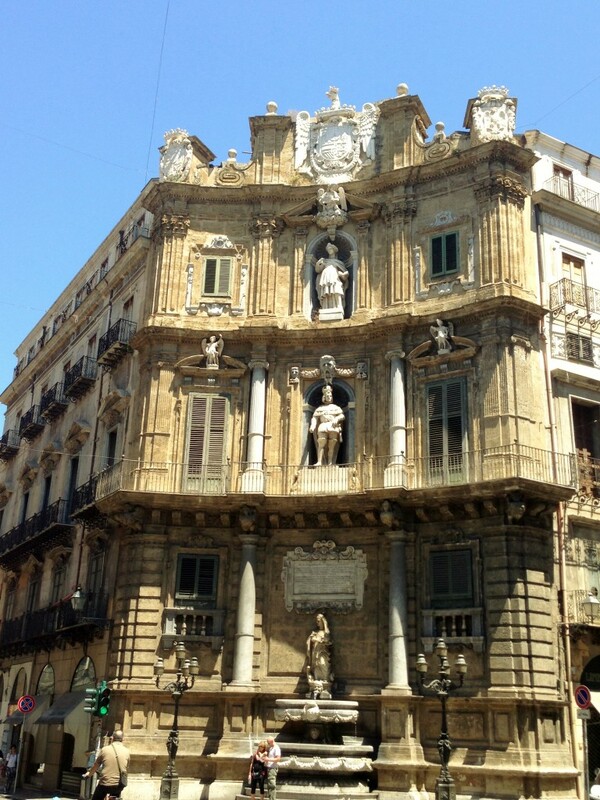 Having been invaded and ruled by pretty much everyone across the centuries, Palermo is now a fascinating mix of architectural styles. Unlike the major cities in the north, it hasn’t been ‘done up’ and in parts it’s practically falling apart, but nonetheless it’s beautiful in a faded grandeur kind of way. As always look up, and in Palermo try to look in as well. 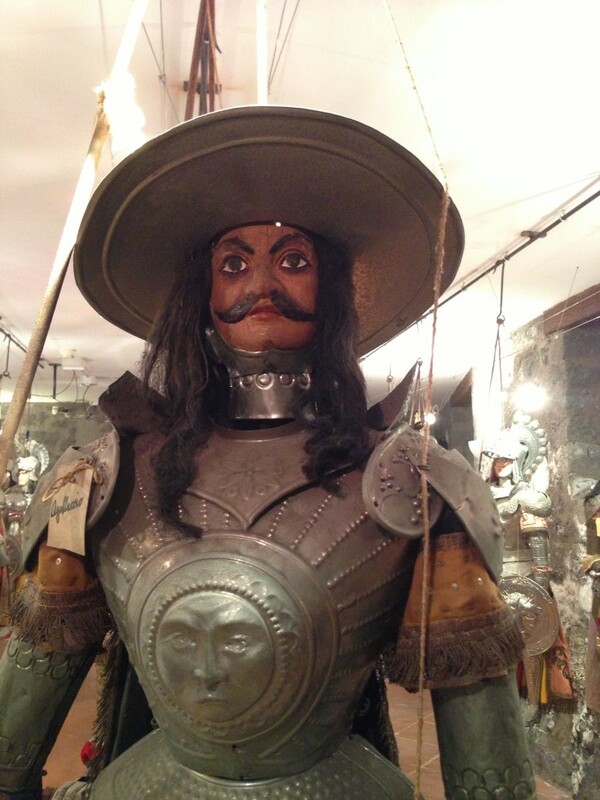 I’ve always been a bit wary of puppets and find them fairly creepy. But I put my fears aside as it’s part of Sicily’s cultural heritage, and the number of places that do these shows is shrinking. 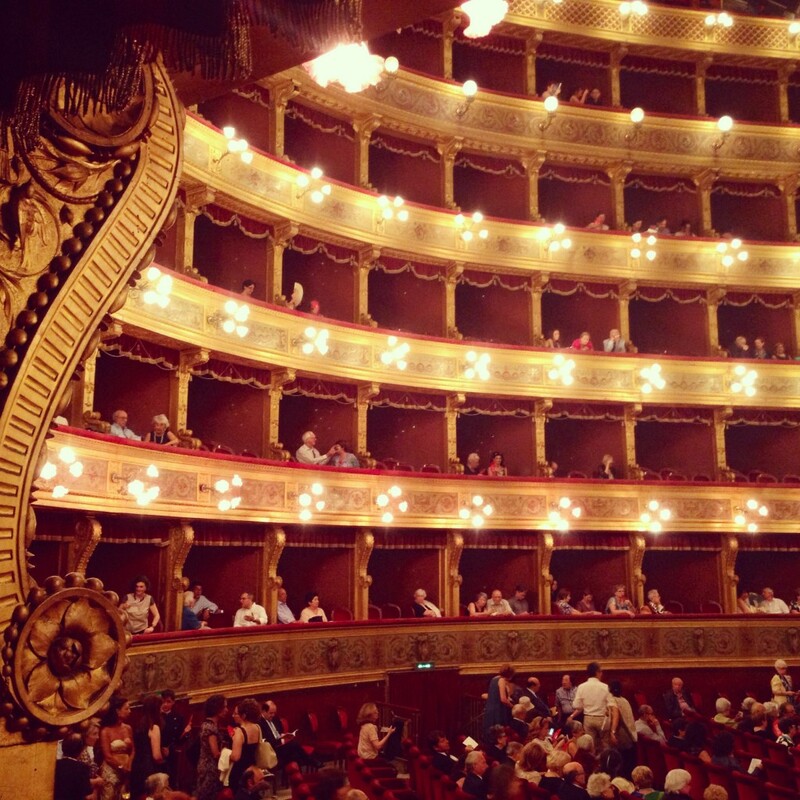 There are a couple in Palermo and the one we went to is the Teatro dei Pupi, and is family run. They make the puppets and are the puppetmasters too. 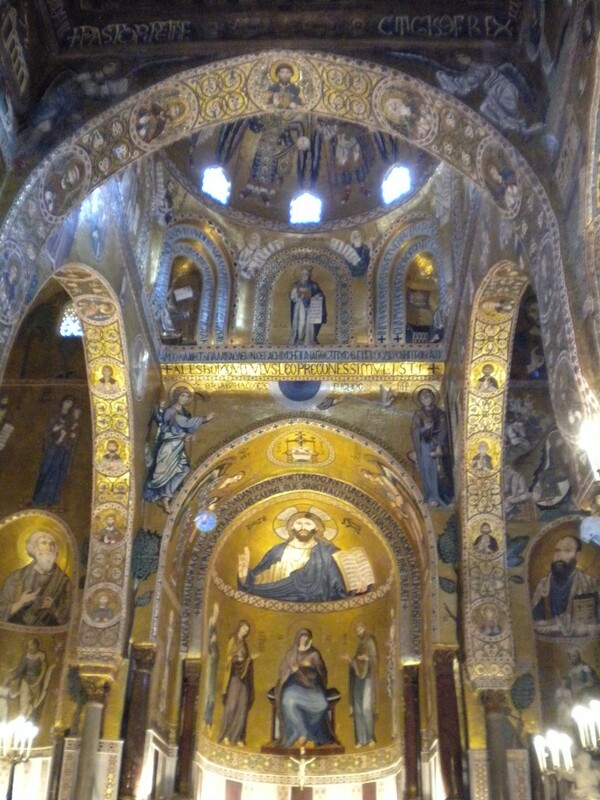 Monreale cathedral is just outside Palermo – so a bus or car trip away – but it’s really, really worth it. I’ve poked my nose into a lot of churches over the years and this one is breathtaking! It’s 1,000 years old, built by the Normans with Moorish influences, and inside there are gold mosaics all over the ceilings and half-way up the walls. 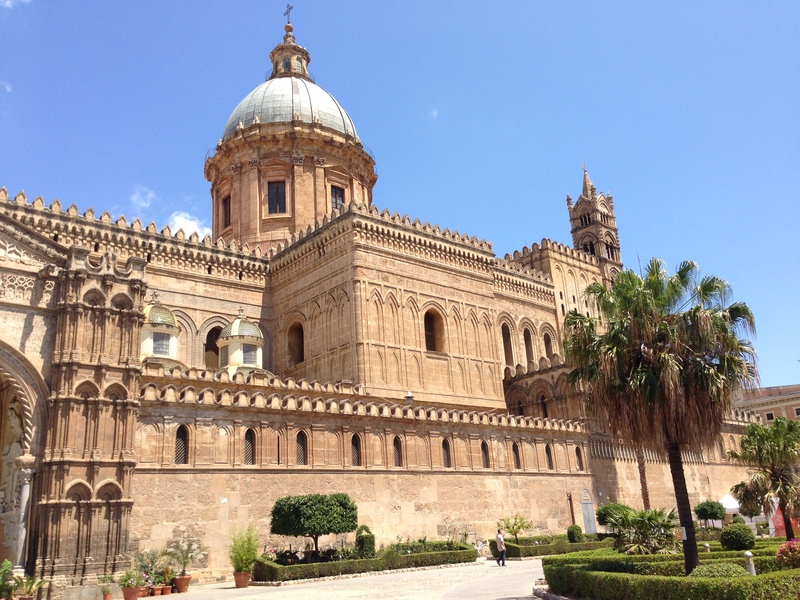 It’s also worth paying extra to go up onto the roof and look down on the cloister and back over to Palermo. Palazzo dei Normanni is similar in style to Monreale and sits in a complex with a castle which is now the seat of parliament. 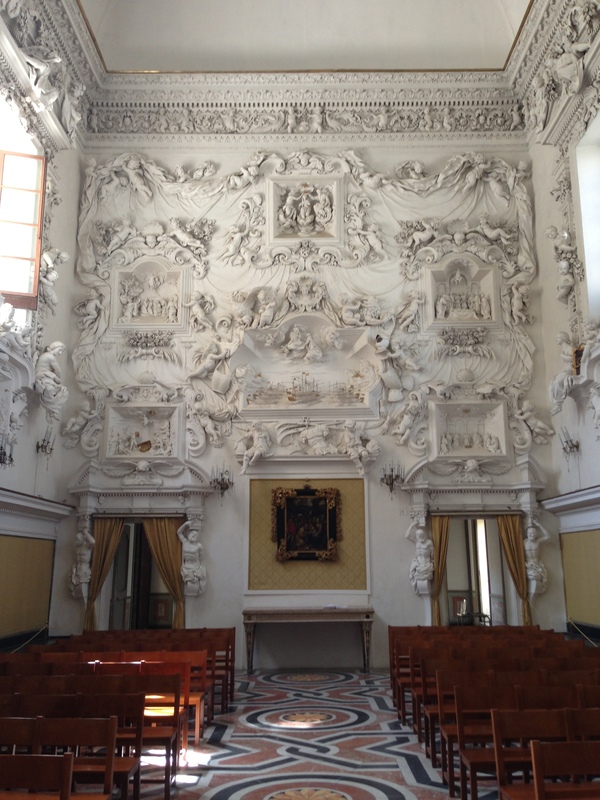 Pay for an audio guide at the Orotorio del Rosario in S.Cita and marvel at the stucco interior by Sicily’s most famous stucco artisan. Your ticket will also get you entry to the Oratorio del SS Rosario in S.Domenica which is around the corner and almost as good. 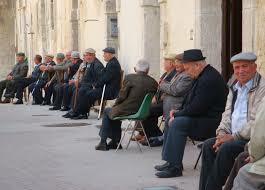 While you’re there side-step the begging nonni and have a look inside the Chiesa S.Domenica. 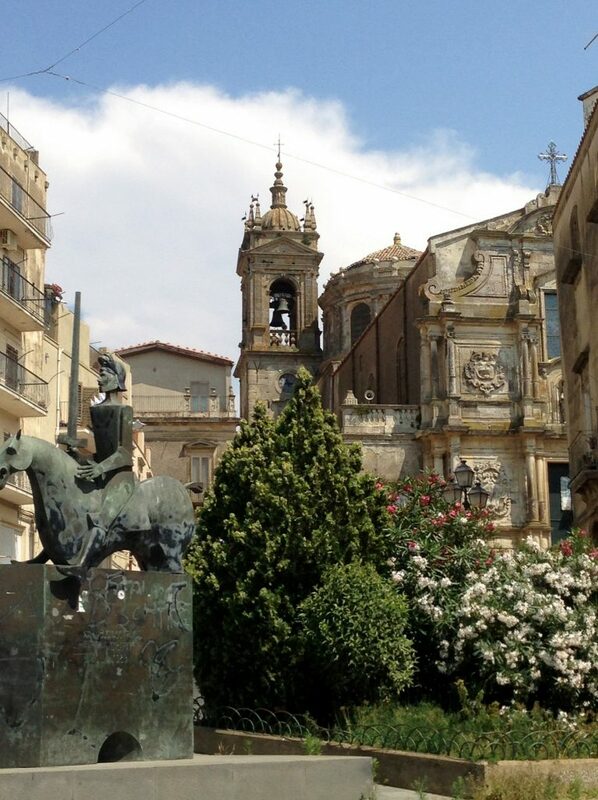 The three churches in piazza Pretoria and piazza Bellini are also really beautiful, close together and worth a look. Some charge a small fee. Teatro Massimo is one of the largest theatres in Europe, with the third biggest stage in Europe after Paris and Vienna. It’s impressive from the outside, but it’s the inside (again with the inside!) I really love. If you can see a performance while you’re there I highly recommend it just for the experience, and if you can’t it’s really worth doing a guided tour (try for one in English). 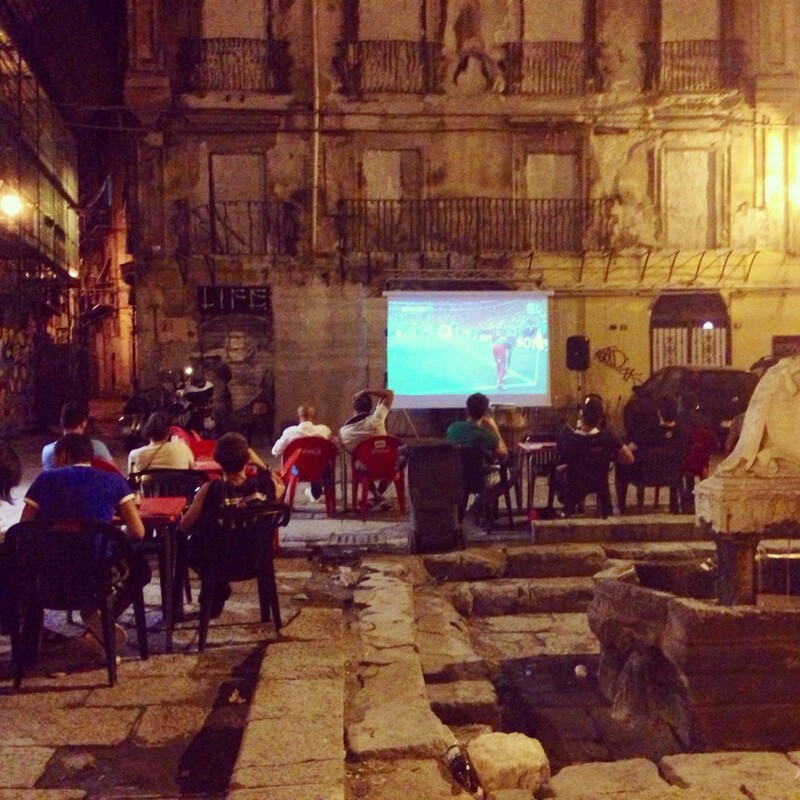 Our last visit coincided with the World Cup so it was impossible to miss seeing a match. Every piazza, no matter how small, has at least one bar with a big screen set up outside for its patrons to watch the game. I’m not a soccer fan, but it’s easy to love the passion and atmosphere. 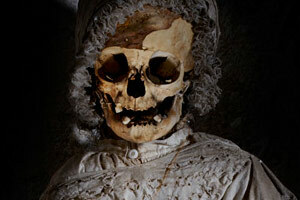 The Capachin Catacombs were on my must-see list the first time I visited. Our cousins kindly took us there (it’s on the outskirts of town) but there’s no way they were coming inside. I can see why: it’s a creepy kind of place but so very different I think it’s one worth seeing. 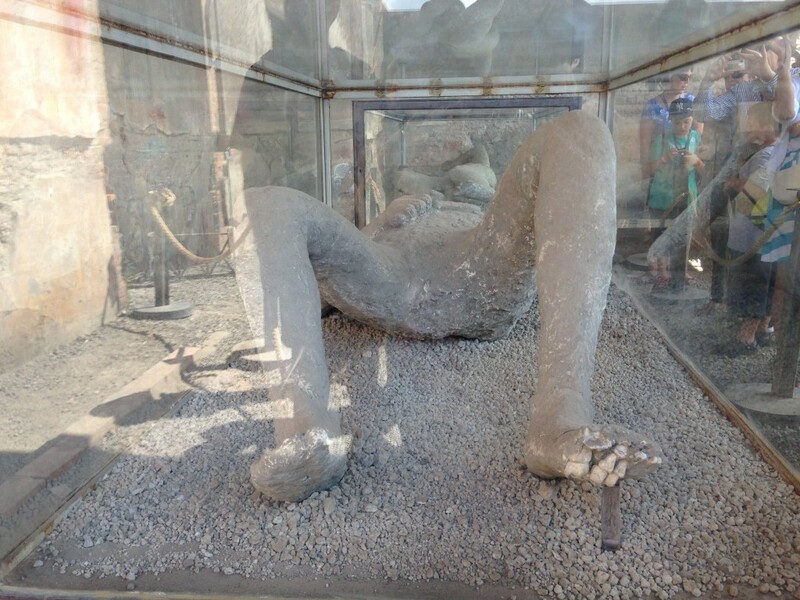 Originally monks were buried here – buried meaning embalmed, dressed up and propped up on a wall for all to see. Pretty soon everyone wanted in, and there are separate sections or ‘streets’ for different professions, and even children. 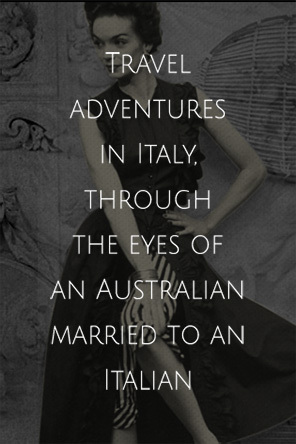 You can find it at Piazza Cappuccini. 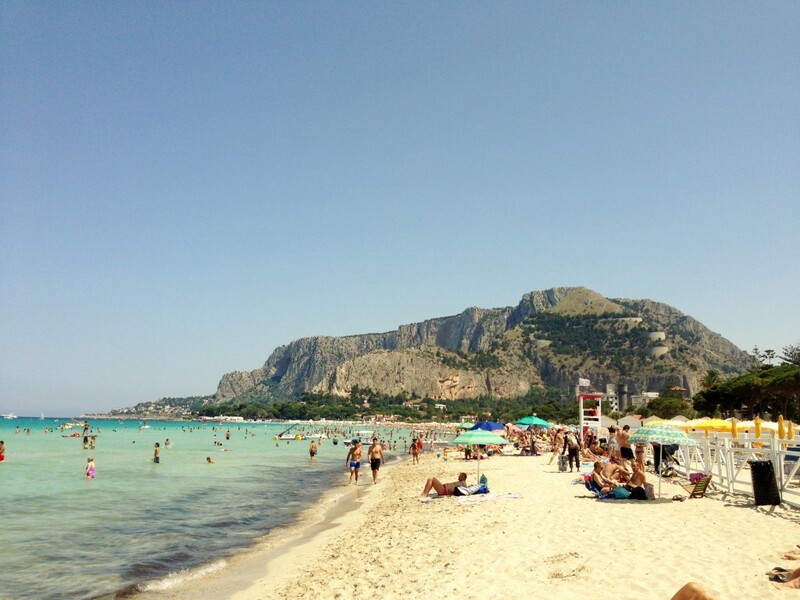 When you’ve had enough of your urban adventures, hop on a bus or drive out to Mondello beach. It’s where the citizens of Palermo go to cool off. Being Australian I’m pretty picky about beaches, but this is a good one – it’s long, sandy and the water is clear with no nasty creatures to bite you. And it’s packed with beach clubs for extra comfort & amenities. 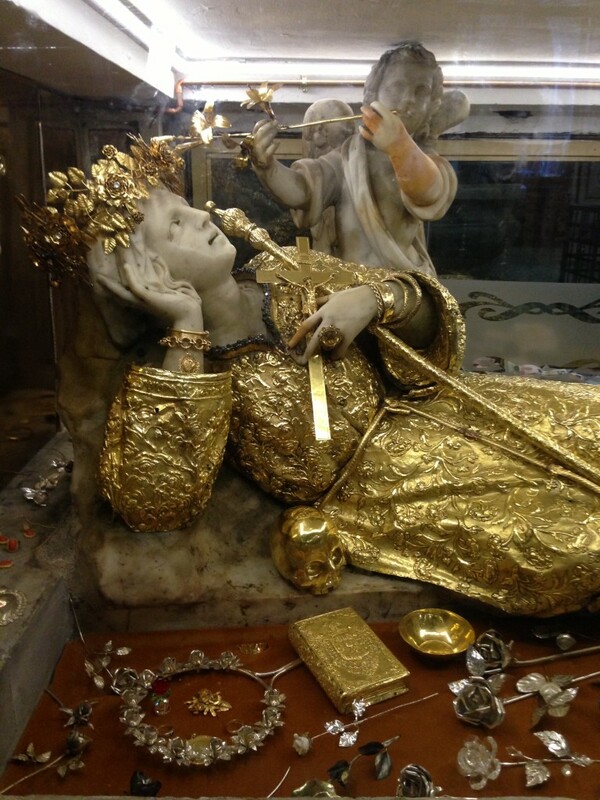 Rosalia’s story goes something like this: many centuries ago Palermo was in the grip of the plague and Rosalia’s spirit appeared to a shepherd (there’s always a shepherd involved in these stories) and lead him to her bones. The plague miraculously ended and they built a church here in her honour. Never mind that the bones were later discovered to be that of a goat, it’s a fabulous place. You know you’ve arrived when you see the souvenir stalls. Park there, walk up the steps and through the small doorway and you’re in! There’s holy water, Santa Rosalia dressed in gold in a glass case, Santa Rosalia on an altar with blue lights shining down on her – and all in a CAVE! You couldn’t get more perfect than that! And don’t forget to browse the gorgeous souvenir shop next door. 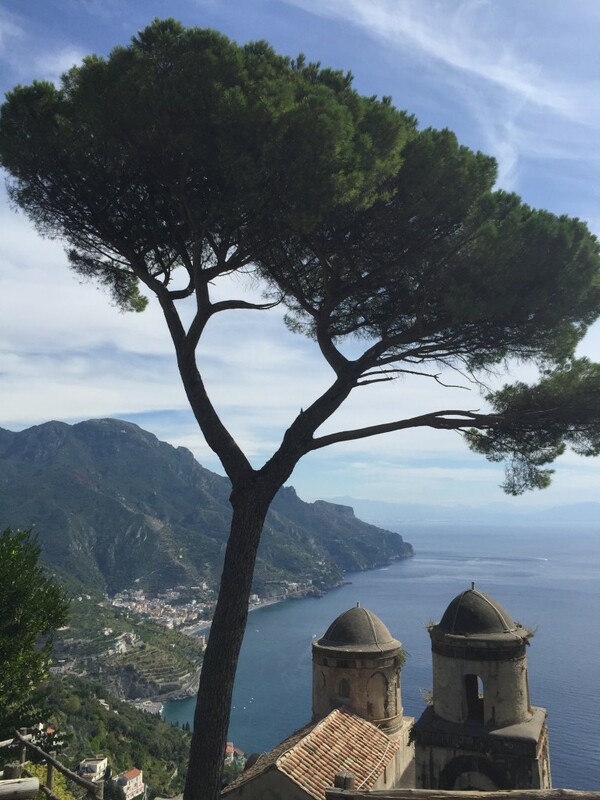 Have you been to Palermo? What’s on your must-see list?